Look out for those stairs! Monday was the annual Costume Institute Gala. This year’s exhibit pairs the brilliant work of Schiaparelli and Prada. This is an evening that is unapologetically devoted to fashion. And this year the red carpet was streaming live! 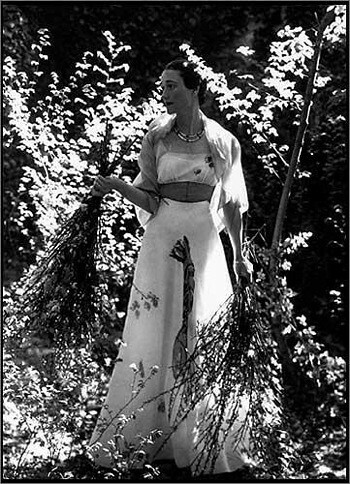 I was appalled to hear some pretty young thing (I did not recognize her, and I hope she is shunned from the fashion world for the rest of her years) admit that she had no idea who Schiapparelli was. Exsqueeze me?! You couldn’t be bothered to google one of two names in the title of the event you were attending? For shame! She should have been stripped of that couture gown, tarred and feathered, and banned from the building. I certainly do not claim to know every designer, but if you are attending an event that is centered around the work and influence of Schiaparelli, I suggest you come prepared. Perhaps you may even learn something exciting and interesting about fashion history, sweetheart. Some of the gowns looked like a southern belle’s prom dress, and, in my opinion, did not belong at this event (Julianne Hough, I am looking at you). And I do wish there were more vintage gowns on the carpet, but perhaps that is not the point. Oh, well. I did spot Prada’s homage to Schiaparelli’s lobster on Ms. Wintour. But looking at all of the online slideshows, I am a bit underwhelmed this year. My favorite dresses are on my least favorite celebrities/actresses. I guess I will just have to wait until next year . . .
OMG that Prada dress...... WOW. I love that Rodarte dress Kirsten Dunst is wearing - that is gorgeous! Hahahaha what an idiot, sigh. I mean, come on! At least GOOGLE the name so you know what's happening, honey! I'm embarrassed to say I liked Jessica Alba's gown. It's so shiny! And gold! I like shiny things! But I kind of also adored the dress Laura Carmichael i.e. Lady Edith wore. It's so deliciously old-british-actress which shouldn't work on a 26 year old actress but it DOES. Emily Blunt's simple coral thing was fairly awesome, but I have to say, I think there were more failures then successes this year. I myself do not know a lot about designers but I do know of Schiapparelli. She was amazing, using safety pins and zips in a manner that punks would follow decades later in the 70's. And her shoe hat is just pure genius.